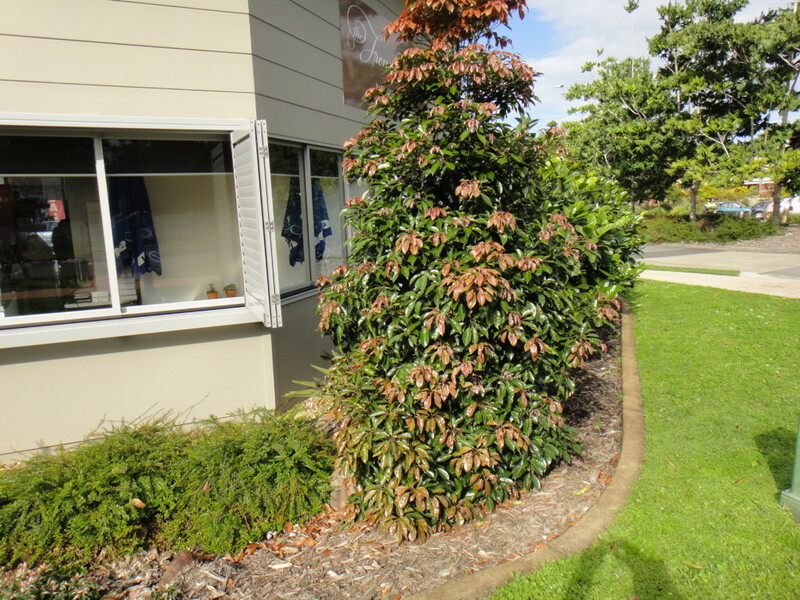 Parklands Tavern, Parklands Boulevard, Meridan Plains, Queensland. 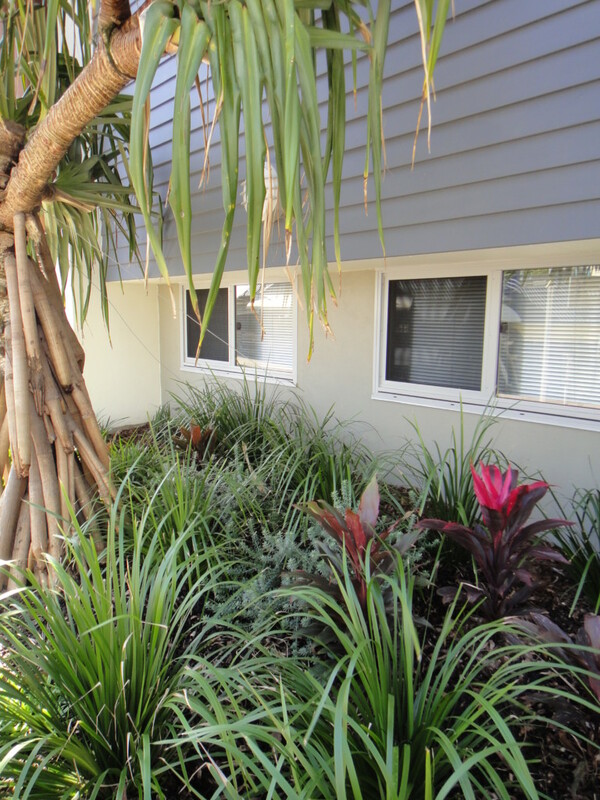 Maud St, Maroochydore, Sunshine Coast, Queensland. 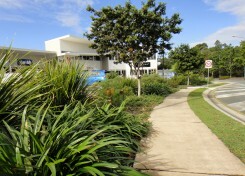 Mooloolaba Surf Club, Mooloolaba, Sunshine Coast, Queensland. 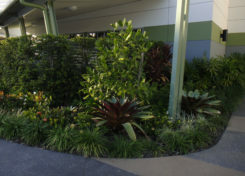 Element Design has completed over 200 commercial and industrial landscape design projects across the Sunshine Coast and greater Queensland region, including single tenancy industrial units to large scale commercial shopping centres, including petrol stations, the scope of our design services is not limited to location within Australia or scale of the project. 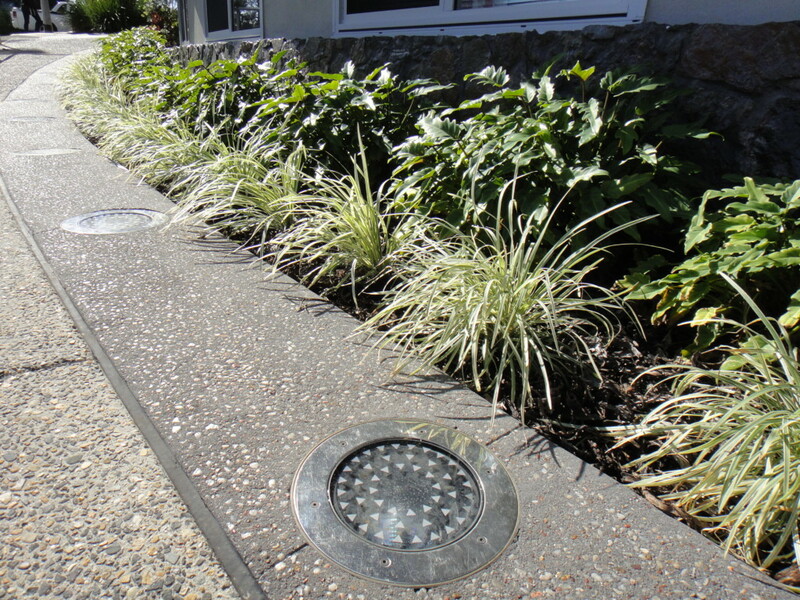 Selection of street furniture, hard surface finishes, landscape green walls, feature mature trees, themed planting areas and public lighting are all facets of Element Design’s skill base. 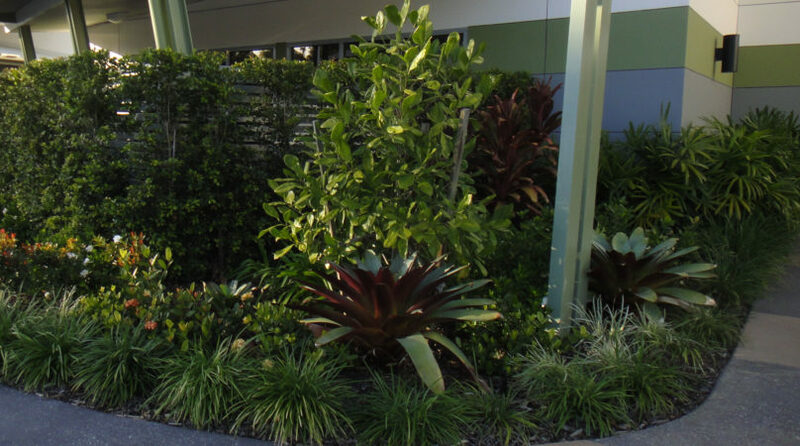 Our team is also aware that design and economic considerations are critical aspects for a successful outcome when delivering commercial and industrial projects. 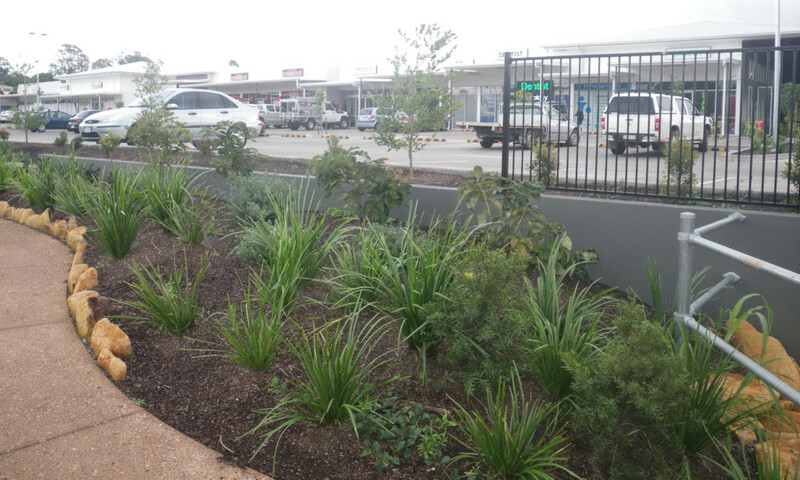 A key development on Parklands Boulevard that required a high quality landscape finish. 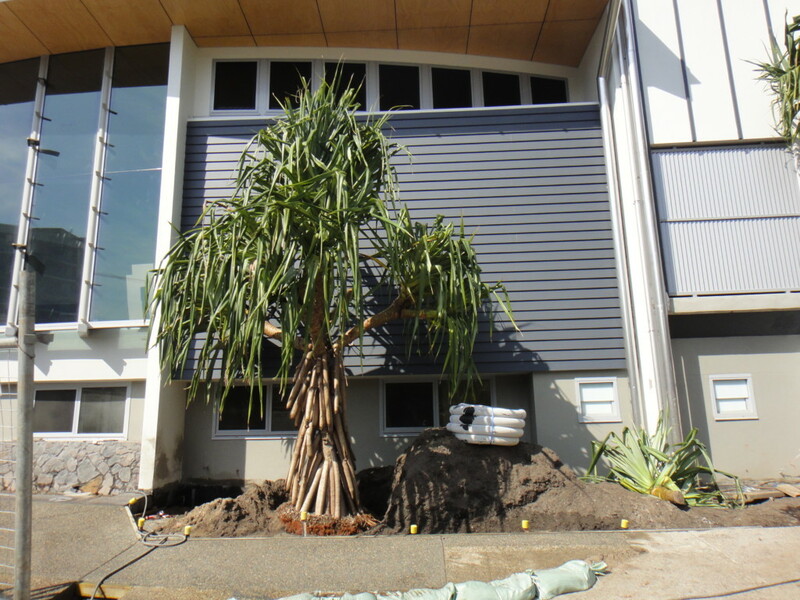 Accent planting, feature canopy trees and contrasting colours and textures, come together to create a lush subtropical entry. 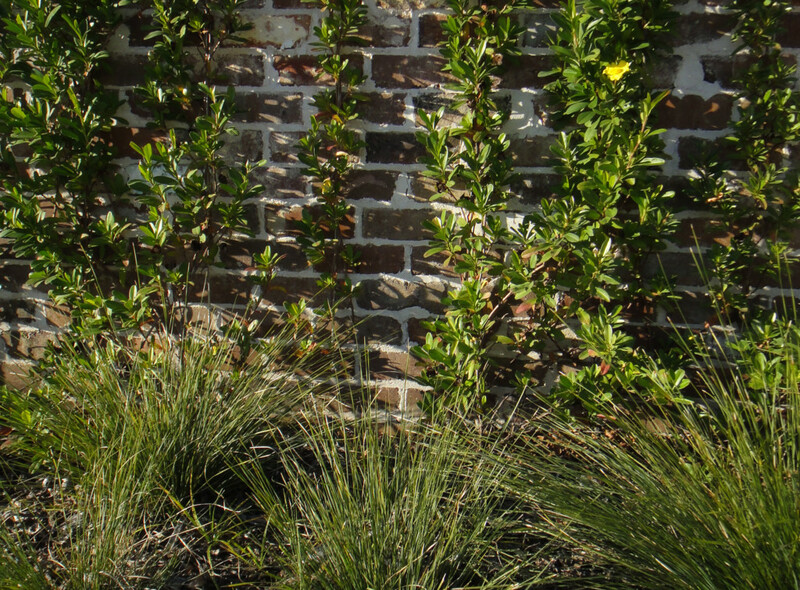 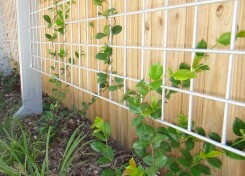 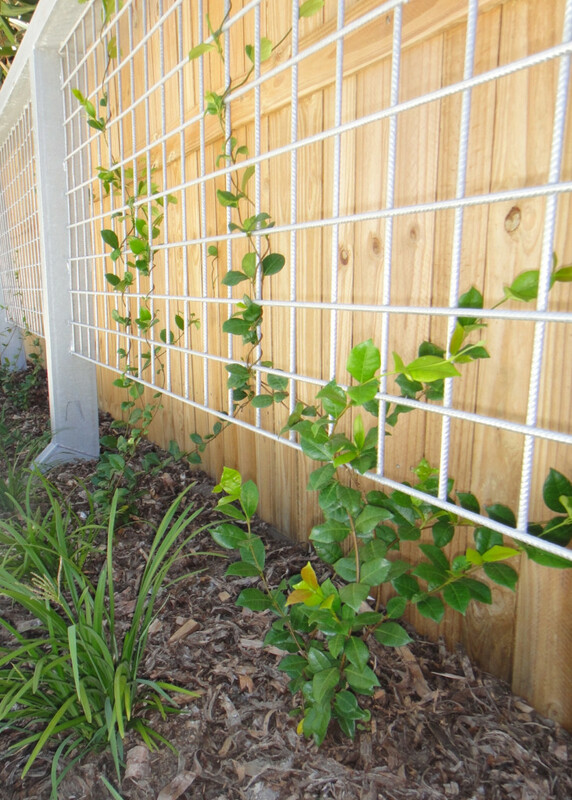 A stainless steel espalier wire on brick walls, soften the face and provide a splash of colour. 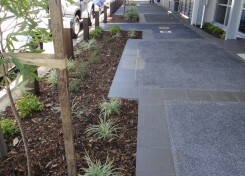 This high profile commercial development incorporated many creative design solutions. 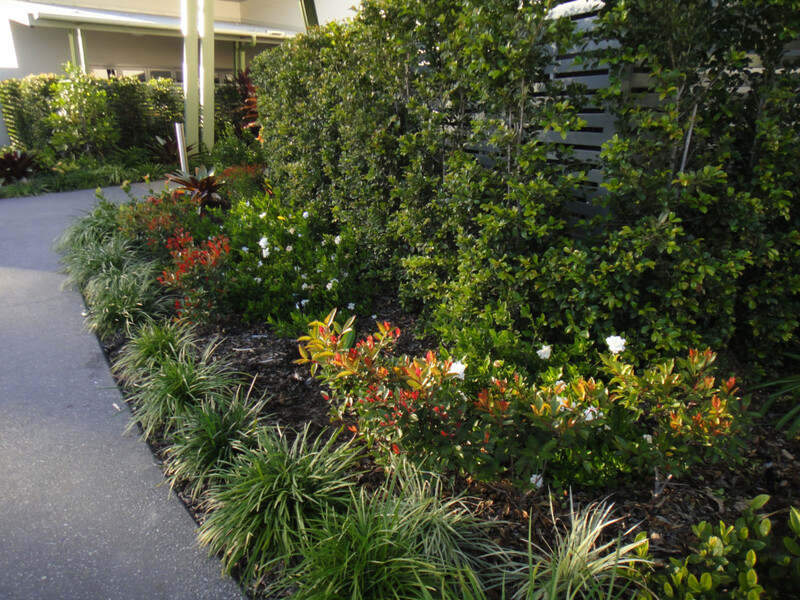 Star Jasmine, will in time cover the structure and provide masses of seasonal white flower. 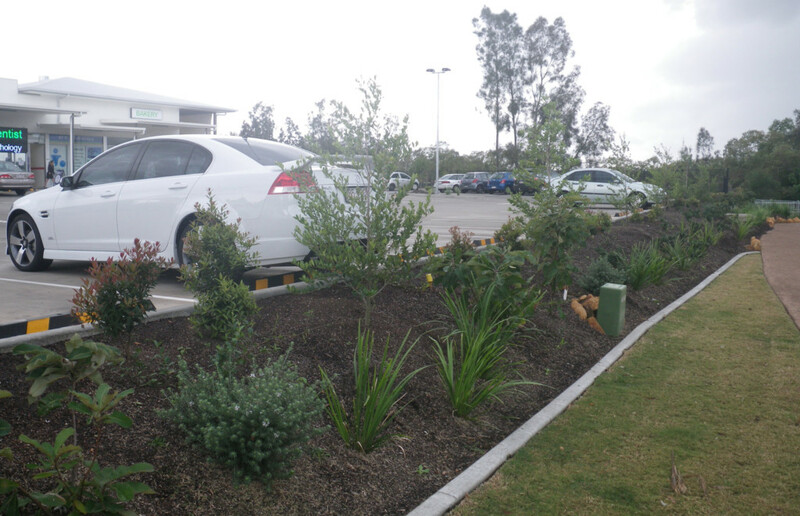 A subsurface engineered solution using Greencity’s “Strata Cells”, has been constructed under the concrete car park slab, to enable healthy canopy tree growth. 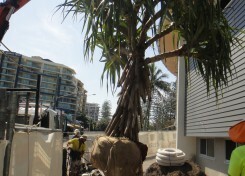 The Mooloolaba Surf Club has recently completed a major renovation internally and externally. 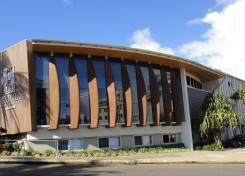 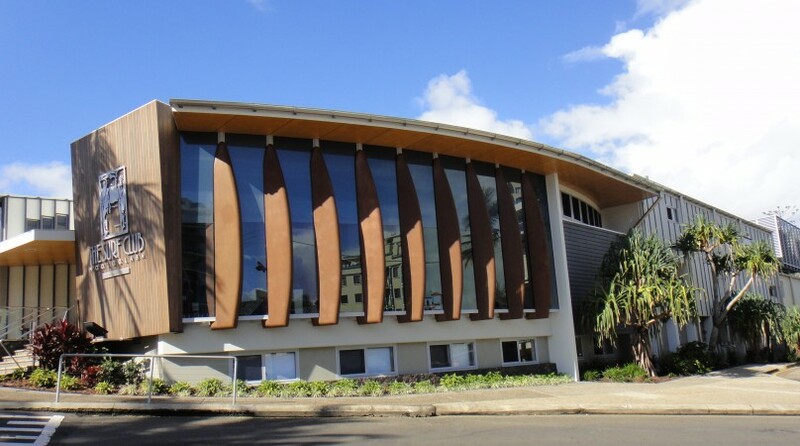 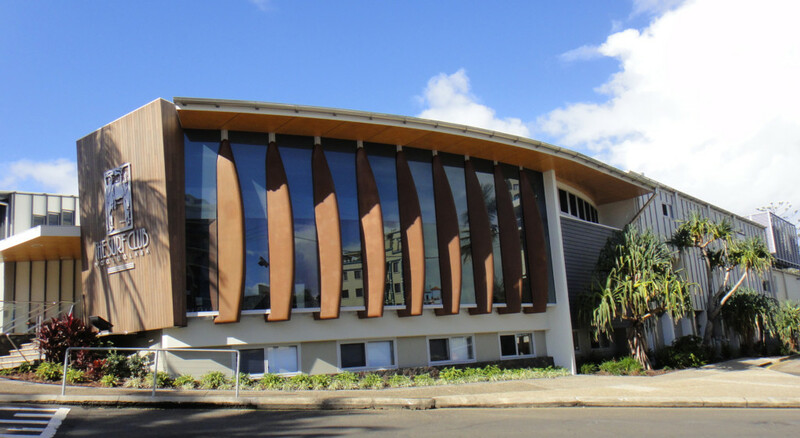 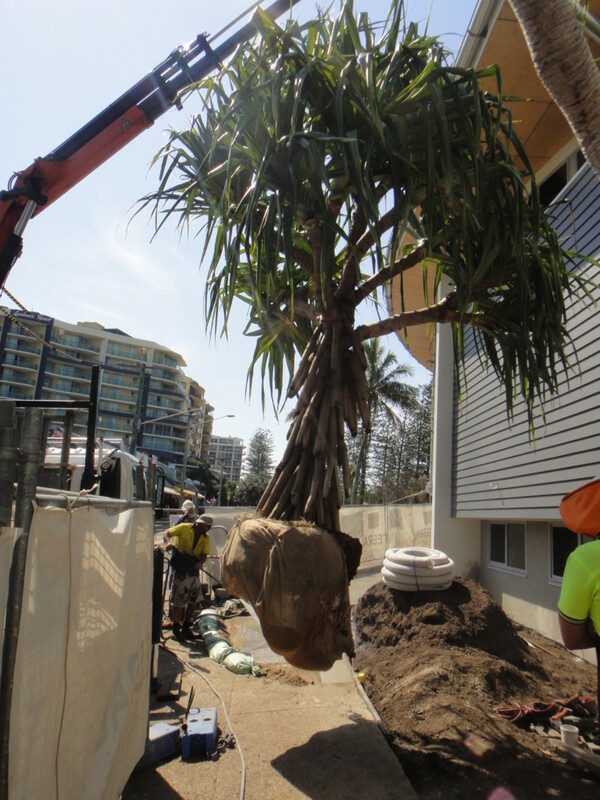 Several mature Pandanus were integrated into the landscape design to assist with softening the face of the building down the service alley. 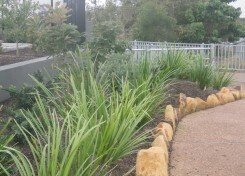 A mix of exotic and native planting provide colour and texture. 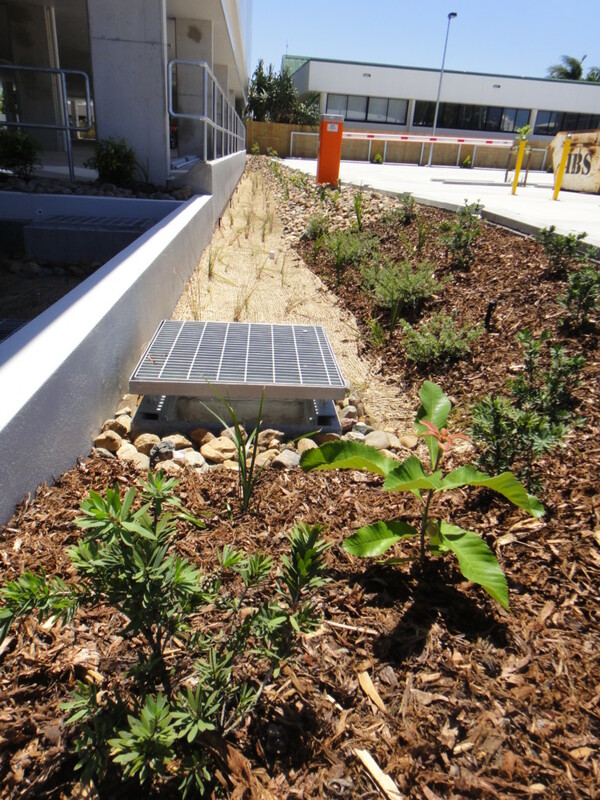 A contrasting band of exposed aggregate, concrete housed LED lights, illuminate the building façade without obstruction from the planting. 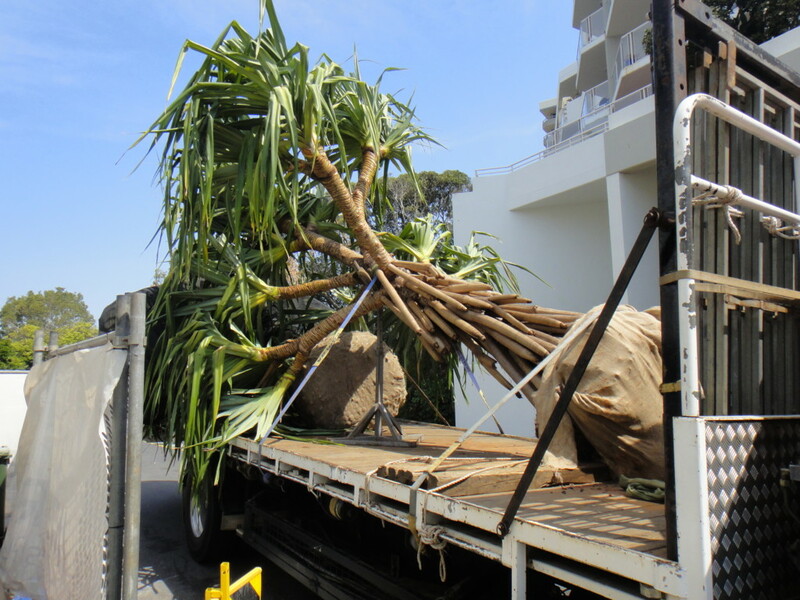 Existing Pandanus were professionally transplanted by an Arborist and stored off site during the construction phase of this project. 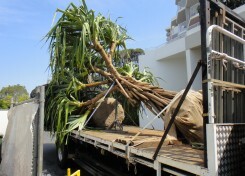 The Pandanus were then carefully lifted into place ensuring the correct aspect is provided. 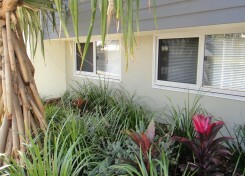 Bli Bli, Sunshine Coast, Queensland. 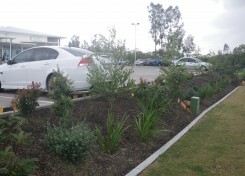 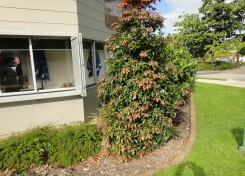 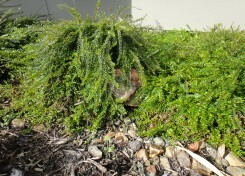 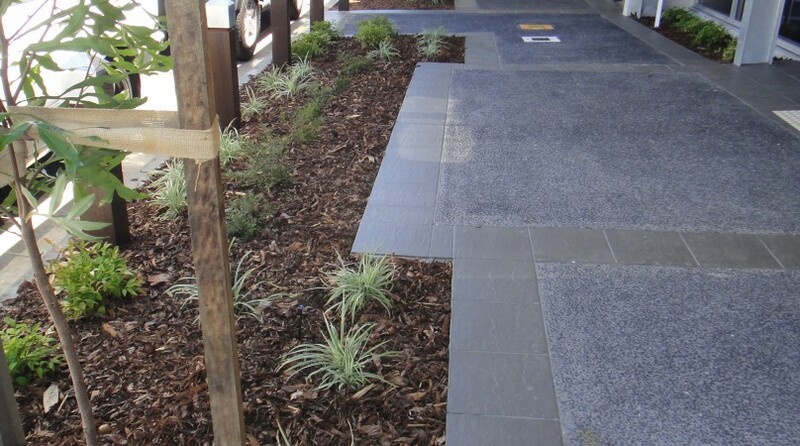 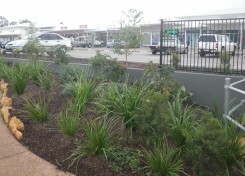 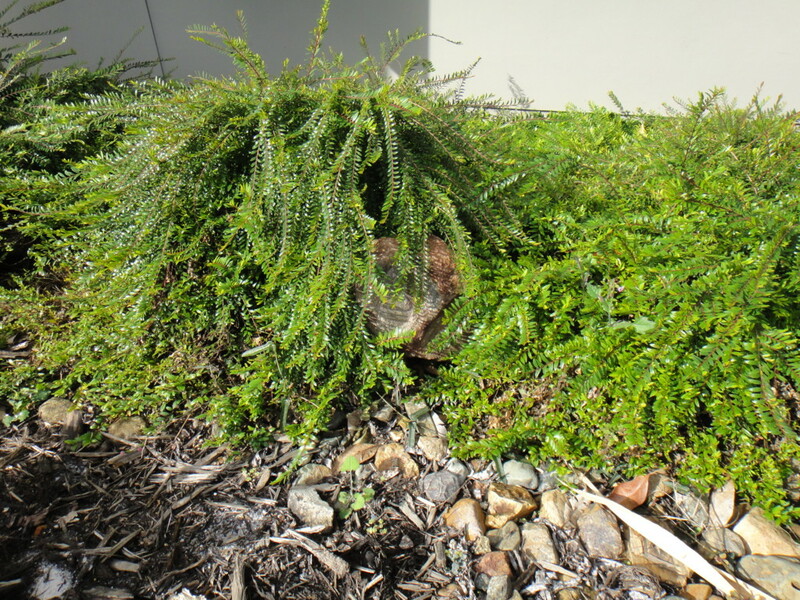 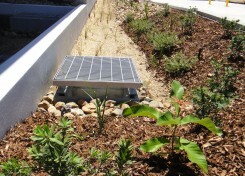 A selection of native plants provide visual relief to the carpark while allowing public surveillance to the area. 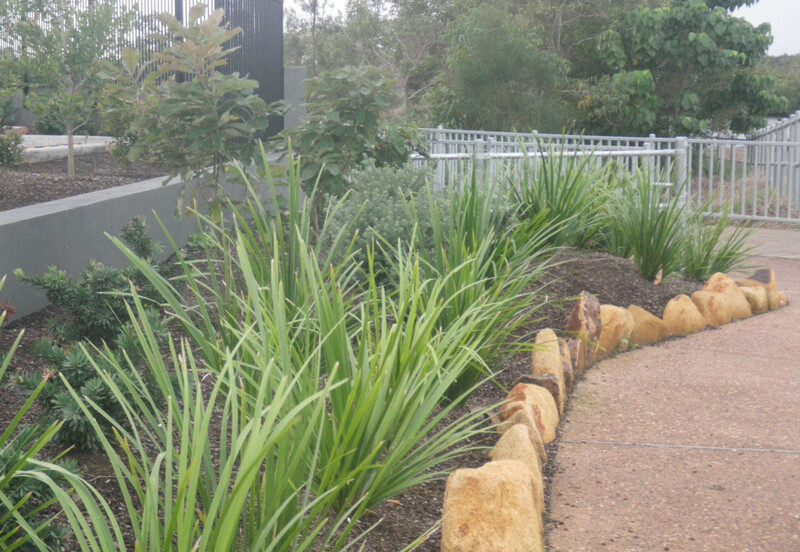 Changes in garden height were mitigated by using select dry stacked rock, that match existing retaining walls previously constructed. 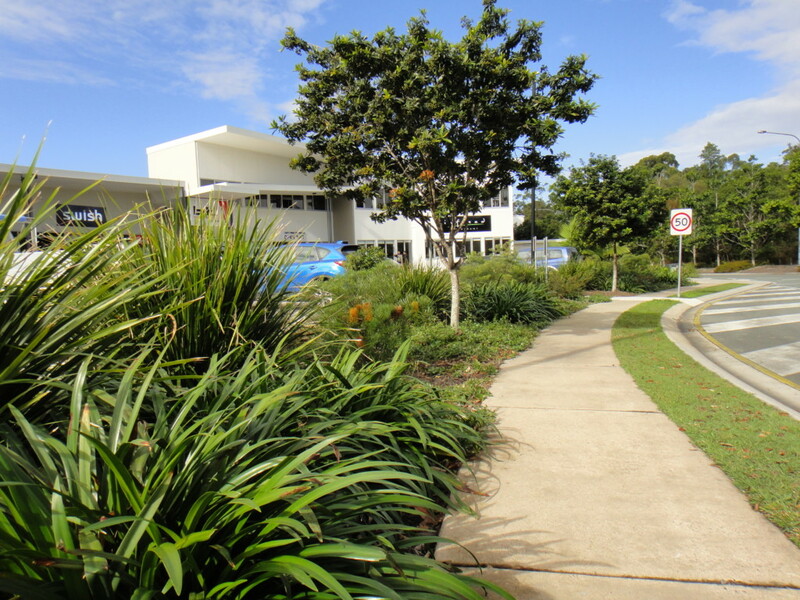 Stringybark Road, Buderim, Sunshine Coast, Queensland. 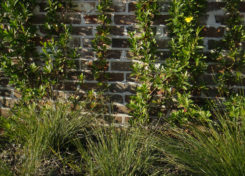 Element Design works with each client to ensure they receive the level of landscape finish, required to meet on site constrictions and to achieve approvals through local authorities. 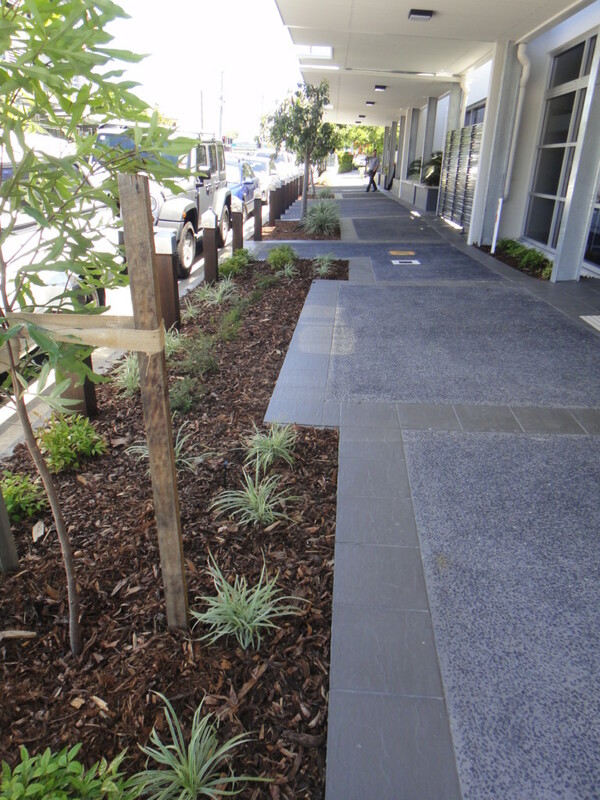 Many commercial developments require areas of the site to be screened, while other select areas are to have high visibility. 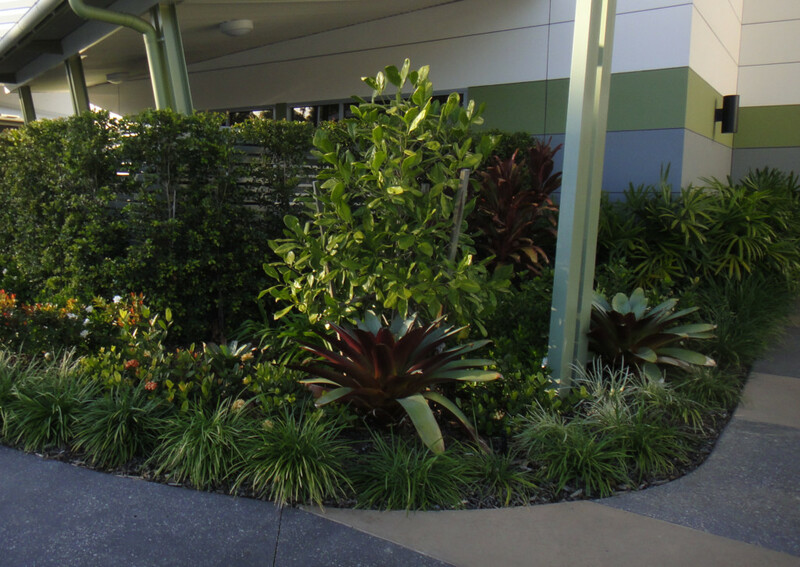 We work with Hydraulic Consultants to ensure stormwater filtration devises (Bio Retention Basins) are correctly vegetated and where possible integrated with the surrounds. 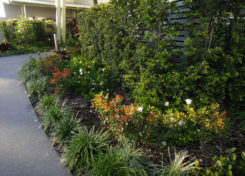 Element Design will also provide a Certification of Completed Landscape Works as required by local authorities. 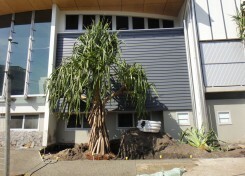 This project was designed and built in 2008 and was recently photographed to see how it was coping with the test of time.